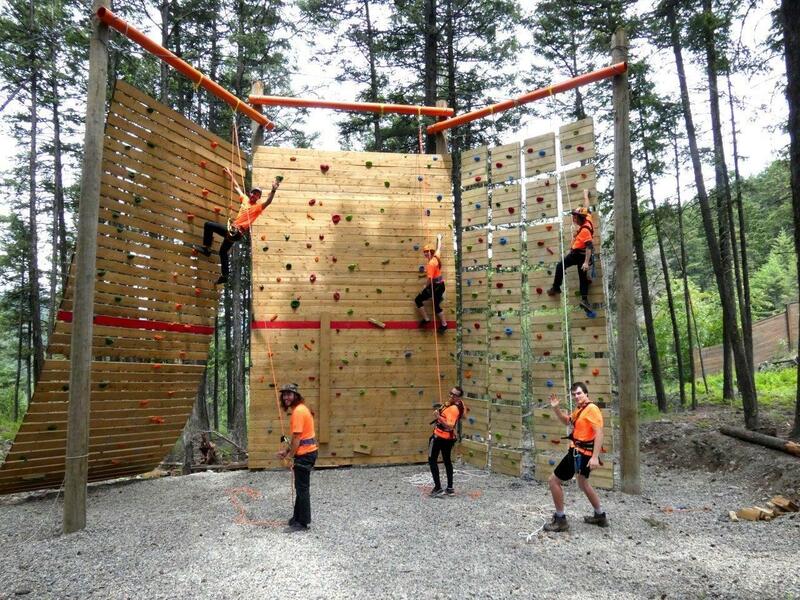 DynaClimb is a shifting wall that moves as you climb and is Canada’s first Dynamic climbing system. Unlike conventional climbing, where the climbing face is static and you can predict your balance before making a move, Dynamic climbing means that the wall shifts with your body weight, meaning you have to rebalance on the fly. It’s challenging, takes skill, and is a whole lot of fun. Our three-panel climbing wall starts by teaching you basic climbing techniques, using augmented climbing games to add to the fun. Augmented climbing is a new way to have fun on a climbing wall, and introduces speed, agility and competition to your climbing! We then move you on to the Flexwall, where you start to learn how to climb on a flexible surface, and finally we put you on the 3D Panel wall – a wall that moves in three dimensions as you climb. Our awesome climbing staff are with you every step of the way, teaching you, encouraging you and having fun with you.